Delhi is considered as the largest commercial centre in Northern India. Even though Delhi has some of the best sightseeing spots and beautiful historical monuments, but the place is so fast-paced that people often look for offbeat getaways to relax. 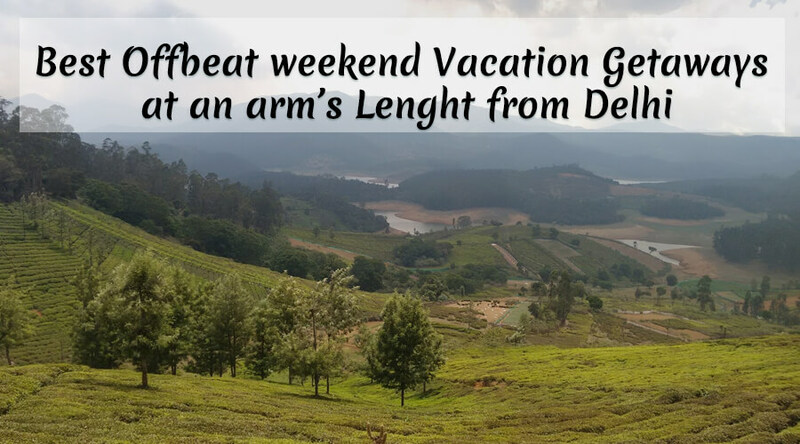 From breathtaking backdrops and soothing climate to lush green landscapes, these getaways provide you with a perfect weekend vacation sites amidst the pristine environment. 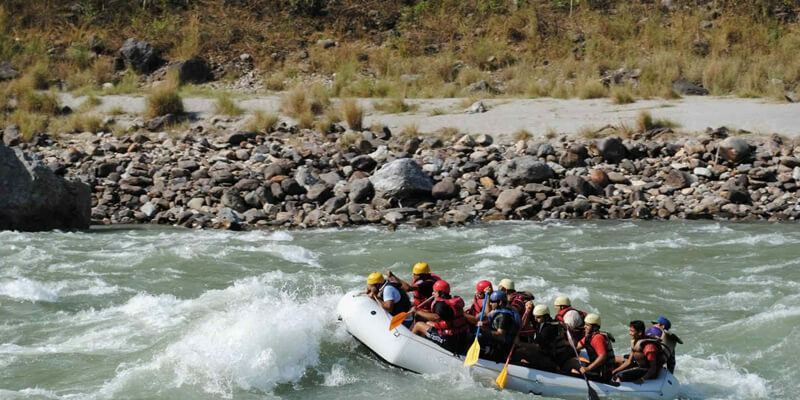 The city of Rishikesh is situated in Dehradun district of Uttarakhand. Located in the foothills of the Himalayas in the northern India and the banks of holy Ganges, Rishikesh is considered as the Yoga Capital of the World. Due to its sacred place in the Hindu Mythology, the place is quite popular among pilgrims. The city is around 240 km away from Delhi and the main tourist sites include Lakshman Jhula, Ram Jhula, Neelkanth Mahadev Temple, Rajaji National Park, Trayambakeshwar etc. Among the adventurous activities, you can indulge in white-water rafting, rappelling, bungee jumping, and cliff jumping. For all those wildlife lovers, planning a weekend trip to Sariska Tiger Reserve that lies around a distance of 211 km from Delhi can be a great option. 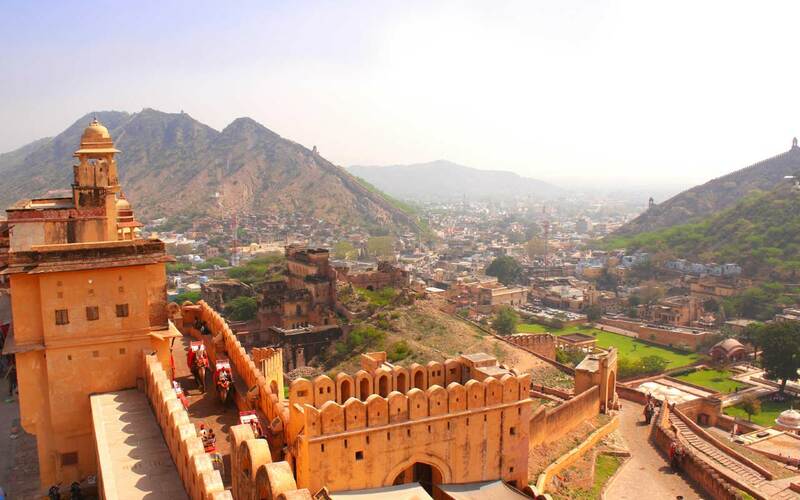 Lying along the Aravali Hills, it is located in the Alwar region of Rajasthan. The main attractions include tigers, Hyenas, Leopards and various migratory birds. Spend your weekend holidays amidst the splendid and adventurous wildlife. Nahan is a small town in Himachal Pradesh that lies 256 km from Delhi (via NH 44). Situated 5000 ft above the sea level, the beautiful hill station is surrounded by the mountains along the Churdhar range. 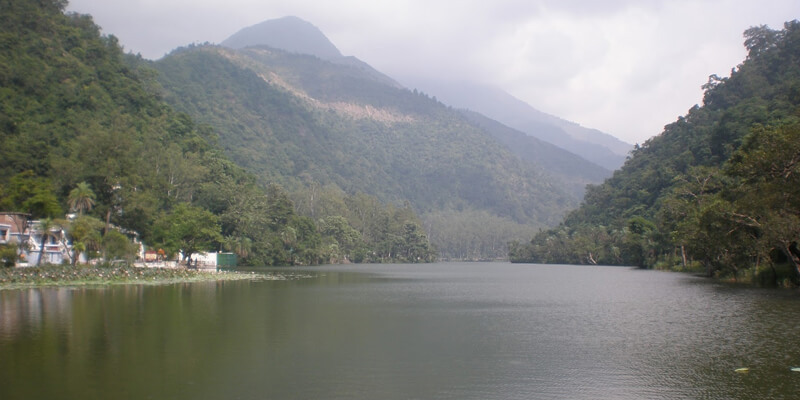 Visit the serene Renuka Lake or go for a trek along the Churdhar mountains. Landsdowne is a cantonment town in Pauri Garhwal district of Uttarakhand. Located around 260 km from the capital Delhi, the hill town gets its name after a former British Viceroy of India, Lord Landsdowne. It is considered one of the most less-explored tourist places. 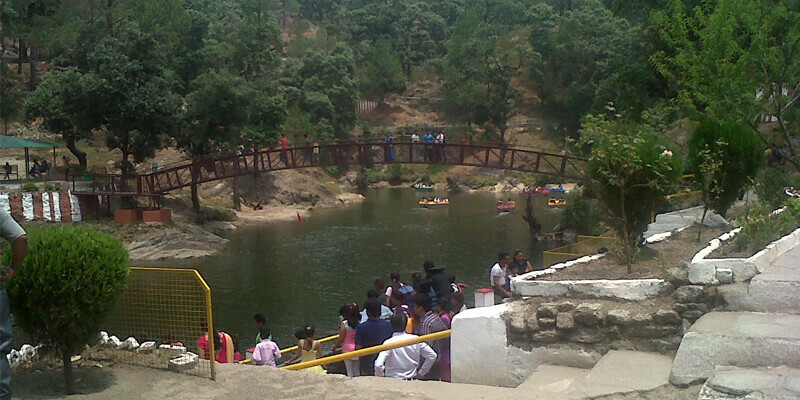 The place is great for the couples and lone travellers and serves as a perfect vacation destination. Walk along the pine and oak forests or go for boating, bird watching or a short trek. 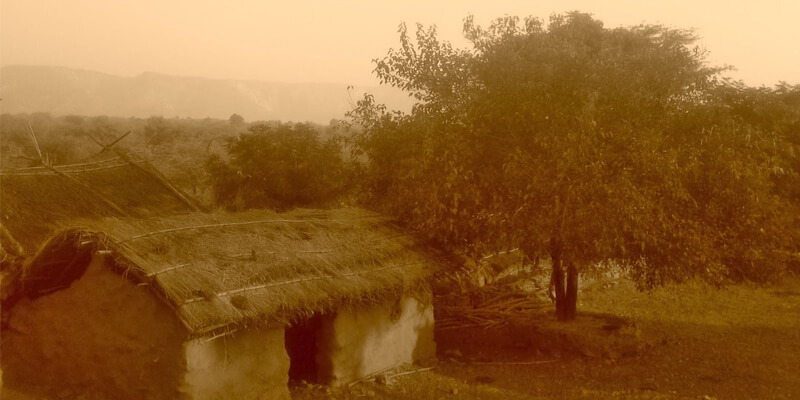 Situated around 233 km (via NH334B) from Delhi, Mandawa is a town in the Jhunjhunu district of Rajasthan. The place is known for its fort and Havelis. It houses the splendid Fort of Mandawa that was built in 1812. The main attraction is the painted arched gateway that adorns Lord Krishna and his cows. Apart from this, there are several havelis such as Sevaram Saraf Haveli, Jhunjhunwala Haveli, Murmuria Haveli etc that are worth watching. Located around 220 km from Delhi, the city of Bharatpur is in eastern Rajasthan. The place is home to the Lohagarh Fort that was built by the Jat rulers in the 18th century. Some of the monuments inside the fort include Mahal Khas, Kishori Mahal etc. and towers like Jawahar Burj, Fateh Burj etc. The main attraction is the magnificent Bharatpur Palace that was made in Rajput and Mughal architectural styles. Among the other tourist places, there is UNESCO-recognised World Heritage Site, Keoladeo National Park, Bharatpur Government Museum, Deeg etc. Keoladeo National Park is a manmade wetland and has several shallow lakes and water marshes. The place is a home to more than 379 floral species, 364 species of birds, and various species of fish, amphibians, lizards, and turtle. So pack your bags for the next weekend and plan a trip to any of these vacation places. 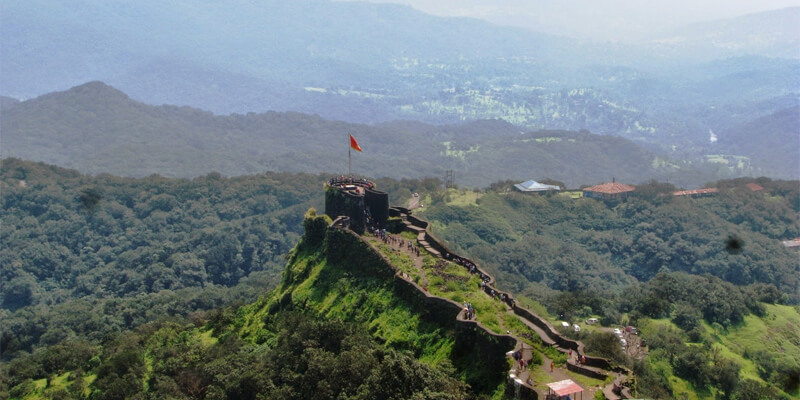 From hill station and lakes to historical palaces and wildlife destinations, there is something for everyone.